Today I planted corn, cucumbers, watermelon, and cantaloupe. Then I got to looking for space to plant the tomatoes and peppers I still have in pots on the patio. Yikes! I am out of space. what type of corn did you plant and what type of melons jal? Today I planted Ambrosia and Incredible corn. Charleston Grey Watermelon. I also planted Burpee Hybrid Cantaloupe and one called Roadside. Nathan, where are you in Idaho? Can you grow melons there? If you want to try these Charleston Grey, give me your address in a PM and I will send you some seed. Are the Charleston Greys awesome? I'm doing Baby Sugar Bush. If you have a few extra Jal, I would be very happy to try them. But I don't want to sound pushy or anything like that. Don't You Think This Outlaw Bits Done Got Out of Hand? I hear you, I planted up my tiny front garden, lined my front steps with pots, and now am thinking about trying a few self-watering pots on the roof! Got some melons in myself. Honeydew Snow mass, from park seed. I just dehydrate the seeds from the melons, and sprout them the next year. These seeds are from last season, and all 10 sprouted. Last edited by luvthesnapper on Tue May 22, 2012 11:44 pm, edited 1 time in total. Oh my garden gets bigger every year also, only I'm not in denial Every year I swear I am going to double it but I only expand by about 1/3. And at this point, if I did double it, I'd be encroaching into my neighbors yards. When I am done fixing up this house and the market gets better, the plan is to sell and move about 35 minutes west and get a nice 10 acres or so. And I guarantee, at least two of those acres will be MINE ALL MINE for gardening or I suppose at that point it's getting to be a small farm. My watermelons have been in for about a week now. They're about an inch tall and working on the first true leaves. They are (I think) "sugar babies"? jal_ut wrote: Today I planted corn, cucumbers, watermelon, and cantaloupe. Then I got to looking for space to plant the tomatoes and peppers I still have in pots on the patio. Yikes! I am out of space. I also promised myself a week ago that I finally picked up my last packet of seeds. I swear! Gardening brings such joy, it's lovely. 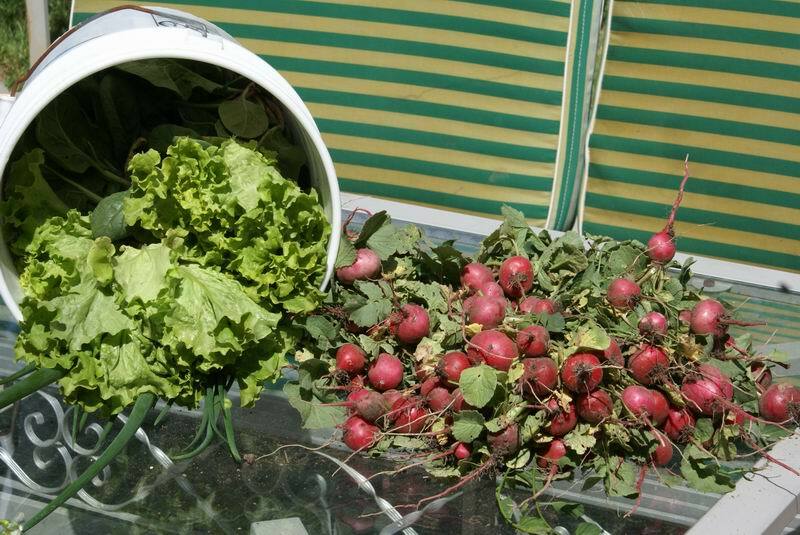 Can't wait to see photos of your harvests again this year! I tell myself, if I had as much room as you do, James, then I would be satisfied and wouldn't keep expanding, but apparently that isn't so! This year we were able to finally talk my dad into planting some sweet corn at the farm. We did about 150ft and two planter widths (12 rows total) of Ambrosia. Doing the math that's about 3600 ears of corn minus losses (raccoon, poor germination, etc). Were hoping it turns out as there's a LOT to go around. The Ambrosia must be good if you're growing it! Very true - it really is addictive! I have a fairly small garden, but I've packed more stuff into it - and a bunch of new containers - this year than I ever thought I would. I also started branching out from the standard tomato garden that a lot of folks plant (not that there's anything wrong with that!!). It's gotten to the point that I really want to plant spring, summer, and fall crops, but I just don't have the room, so I've started thinking about how I can get around that problem, and my main solution is to carve out a little extra space in the front/side yard to maybe put in some onions and garlic. This would free up some space in the back - either in-ground or in containers - for some of the things I haven't yet been able to plant. Brought in the first spinach, and lettuce. Also gn onions and radish. The spinach was sure good flavored. Jal- I planted my radishes on April 26th, they look like they should be ready like yours in about a week. If you don't mind my asking, when did you plant yours? wow! your radishes are huge!! !